PCI College was founded in 1991 to provide training in counselling and psychotherapy for mature students. Long established college (1991) with an excellent reputation. Achieve a Middlesex University Honours Degree in Counselling & Psychotherapy. Integrative approach to counselling & psychotherapy training. High academic standards while still making training as accessible as possible. Expert personal development & counselling skills training. PCI College was set up with the intention of providing students with a broad education in counselling and psychotherapy and in 2001 the college became a Collaborative College of Middlesex University. Our programmes are characterised by an integrative, person-centred, approach to counselling & psychotherapy training. Through their extensive training, students are introduced to all the main theorists, as well as being afforded the opportunity to delve into important topics such as Abnormal Psychology, Loss & Grief, Substance Addictions, to name but a few. This expansive breadth of training, in conjunction with, the provision of high quality, user-friendly teaching, is one of the key factors that each year continues to attract many students to join the growing PCI College family of qualified counsellors and psychotherapists. With over 20 years of experience, PCI College continue with our founders pioneering work by embracing the continued raising of academic standards in the context of proposed professional regulation, while still making training as accessible as possible; by continuing to set a high standard of personal development in training; by raising awareness around the huge range of issues that people still struggle with in this country - depression, anxiety, suicide, addictions, relationship difficulties, etc; and by promoting an integrative approach within our field, and with our fellow professionals. PCI College is now a leading provider of third level educational and continuing professional development courses in the fields of Counselling and Psychotherapy, Mental Health and Wellbeing. As a college, we are committed to the provision of expert training and education in the mental health and wellbeing field, in the private education sector and tailor-made training to specialist groups. Our students come from a wide range of backgrounds and we deliver our courses in Belfast, Athlone, Cork, Dublin City, Dublin West, Kilkenny and Limerick. 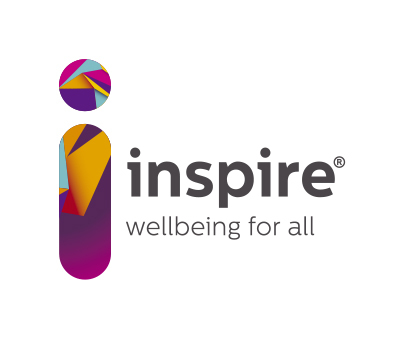 In Belfast, our courses are delivered in partnership with Inspire Wellbeing (formerly Carecall Wellbeing; a division of the Northern Ireland Association for Mental Health - NIAMH), one of Northern Ireland's largest providers of counselling services. Our Certificate course provides a comprehensive foundation in counselling & psychotherapy, and meets the criteria for entry to our BSc Honours degree. The BSc degree in Counselling & Psychotherapy (Level 6) is validated by Middlesex University, and the Diploma (awarded on completion of Year 3) is designed specifically to meet the current criteria for course recognition by relevant professional accrediting bodies including the British Association for Counselling & Psychotherapy (BAP) and the Irish Association for Counselling and Psychotherapy (IACP). Our professional development and tailor-made training clients include private individuals, the Health Service, Government Departments, the Community & Voluntary sector and Commercial Organisations. "Having graduated and started practicing and meeting fellow counsellors, I have become more impressed with the breadth of the training that we received with PCI...Overall I had an excellent experience with PCI and would gladly recommend the college to anyone thinking of training in the area."